Tech news was dominated by a fairly insignificant member of Google’s 12 billion employees this week when James Damore’s 10-page memo that called the company’s efforts to reach equal representation of women “unfair, divisive, and bad for business,” was shared outside of an internal mailing list. Google quickly fired the opinionated young lad, which only sparked more healthy debate in the classier corners of the internet. Once our robot overlords take over, will any of this matter anyway? Facebook took on a more-or-less-previously-uncontested plot of Internet-land this week, announcing Watch, an online TV-network-ish video platform featuring original content from artists, brands, and publishers. The platform will give users even more reason to stay on their Facebook feeds at all times, with a goal of stealing traffic from both YouTube and Netflix through a mix of trending viral content and original programming. All I know is they got Mike Rowe and I’ll follow that dude anywhere. Everyone’s favorite mom and pop store Walmart wins the Creepiest News Of The Week award after the company filed a patent for a video system that keeps tabs on customers’ facial expressions. The program would apparently look for customers that are frustrated or unhappy and alert employees to their location to help. Sure, whatever. But why would anyone in a Walmart be frustrated or unhappy in the first place? 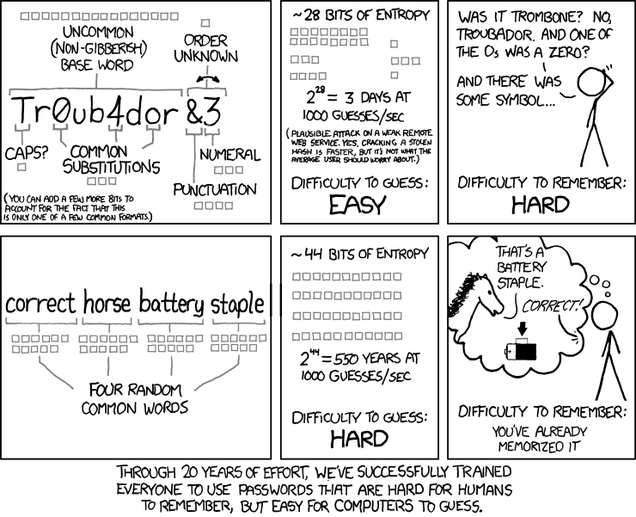 Back in 2003, Bill Burr, a former manager at the National Institute of Standards and Technology, wrote a guide on how to create a secure password using uppercase letters and special characters and numbers that was viewed as the go-to standard for security. And now that we all have 348 unique sixteen-character-long jumbled codes memorized, Burr says his rules were all bunk. Experts now suggest a long string of easy-to-remember words instead. Let’s get creative. This week's briefing was brought to you by Andrew Parker, Sanborn's resident self-driving car.